Going public using Form S-1 or Form 1-A allows issuers to chose from a variety of offering structures. Private companies seeking to raise capital often file a registration statement on SEC Form S-1 or Form 1-A of Regulation in connection with their going public transaction. Once a Form S-1 is effective, the company becomes subject to the SEC reporting requirements. The most commonly used registration statement form is Form S-1. All companies qualify to register securities on a Form S-1 registration statement. Private companies going public should be aware of the expansive disclosure required in registration statements filed with the SEC prior to making the decision to go public. A Form S-1 registration statement on Form S-1 has two principal parts which require line item disclosures. Part I of the registration statement is the prospectus, which requires that the company provide certain disclosures about its business operations, financial condition, and management. Part II contains information that doesn’t have to be delivered to investors. Four primary regulations apply to the preparation and filing of a registration statement on SEC Form S-1. Regulation C – contains the general requirements for preparing and filing the Form S-1, including within Regulation Care regulations and procedures related to (a) the treatment of confidential information; (b) amending a registration statement prior to effectiveness; (c) procedures to file a post-effective amendment; and (d) the “plain English” rule. Regulation S-K – sets forth, in detail, all the disclosure requirements for all the sections of the S-1. Regulation S-K is the who, what, where, when and how requirements to complete the S-1. (ii) Regulation S-T – requires that all registration statements, exhibits and documents be electronically filed through the SEC’s EDGAR system. Regulation S-X – sets forth the requirements with respect to the form and content of financial statements to be filed with the SEC. Regulation S-X includes general rules applicable to the preparation of all financial statements and specific rules pertaining to particular industries and types of businesses. SEC Form S-1 Registration Statements include: (i) a cover page; (ii) Part I which is known as the prospectus; (iii) Part II which is known as supplemental disclosure) (iv) undertakings; (v) signatures and powers of attorney; (vi) consents; and (vii) required exhibits. The cover page of the Form S-1 Registration Statement sets forth the following basic information about the Issuer and the securities offering being registered: (i) the Issuer’s legal name; (ii) the Issuer’s state of incorporation; (iii) the Issuer’s SIC code; (iv) the Issuer’s tax ID number; (v) the address and telephone number of the Issuer’s principal executive offices and of its registered agent for service of process; (vi) the maximum amount of securities proposed to be offered on the Form S-1, (vii) the amount of registration fee; (viii) the approximate date of the offering; and (ix) whether any of the securities subject to the Form S-1 are being registered “on the shelf” pursuant to Rule 415 of the Securities Act. Item 101 of Regulation S-K requires a description of the business of the Issuer for the prior 5 years or 3 years for small public companies. Item 101 sets forth a list of required information which includes the Issuer’s year and state of incorporation; products and services; sources of raw materials; environmental issues; government regulations, research and development and number of employees. In addition, parts of Item 101 require discussion of future plans—for example, plans for expansion or increase in employees. Item 101 also requires a description of the Issuer’s competitors specifically and in the industry in general. This paragraph is a brief summary and examples of only a few of the numerous items that must be specifically disclosed and discussed in accordance with Item 101. Item 102 of Regulation S-K requires that the Issuer set forth the location and general character of the physical properties of the Issuer, including how it is titled and a description of any liens, mortgages or encumbrances. Item 103 of Regulation S-K requires that the Issuer disclose any pending or contemplated legal proceedings, including specifically required information about these proceedings. An Issuer needs not to disclose legal proceedings in the ordinary course of its business. Items 201 and 202 require a description of the securities being offered as well as past and future information regarding these securities and all of the Issuer’s outstanding securities, including, for example, prior market and pricing activity, rights and preferences, outstanding warrants, and dividends. Smaller Issuers are not required to make disclosure under Items 301 and 302, which require that the Issuer provide a summary of financial data that is contained in the financial statements. All Issuers are required to provide disclosure under Item 303: Management Discussion and Analysis of Financial Condition and Results of Operation (MD&A). MD&A often makes up the bulk of narrative discussion in a registration statement and is arguably the most important portion of the registration statement for investors to understand the Issuer and its management plans. A detailed discussion of the requirements of this section could fill up multiple blogs on this topic alone. However, very briefly, MD&A requires discussion of key financial elements and changes in those items over the prior 12 months. For example, MD&A would disclose revenues for the current term and prior year and explain why that number increased or decreased (i.e., the company may have expanded or cut back on its sales force). In addition, MD&A requires a detailed discussion of the Issuer’s future plans and the costs and intended source of financing for those plans. An Issuer cannot simply state that it plans to open 10 new locations, but instead would be required to provide details as to where those locations were, what progress (if any) had been made towards the plan, the costs of the plan and where the money is going to come from. MD&A requires discussion regarding liquidity and capital resources. This would include breaking out balances owed or owing on various obligations and sources and uses of funds for 12-, 24- and 36-month periods. MD&A requires a discussion of the industry and competition, both generally and as may specifically affect the Issuer. Again, this is a very brief outline of MD&A. Items 401 through 404 of Regulation S-K require disclosure of certain information regarding directors, executive officers, key employees and those that own 5% or more of the outstanding securities of the Issuer. Item 401 requires the Issuer to disclose certain biographical information about officers, directors and key employees. This information includes 5 years of business background, name, age, familial relationships among other disclosed individuals, related party transactions, and involvement in certain legal proceeding over the prior 10 years (such as convictions of crimes, governmental enforcement actions, and involvement in bankruptcies). Item 402 requires disclosure of executive compensation, including that which is past, current and obligated in the future. Item 403 requires disclosure of the legal and beneficial ownership of executive officers, directors and 5%-or-more shareholders. Item 404 requires disclosure of financial related party transactions. Items 501-512 (often referred to as standardized items) require different disclosures and information throughout the Form S-1, including specific information on the front and back covers and throughout the Form S-1. Examples include how the offering price was determined (Item 505), risk factors (Item 503), use of proceeds (Item 504), dilution (Item 506), disclosure of selling security holders if a secondary offering (Item 507), plan of distribution (Item 508), experts (Item 509), offering expenses (Item 511), and undertakings (Item 512). Part II of the Form S-1 registration statement contains supplemental information and formal legal requirements. Part II contains the financial information, sales and issuances of unregistered securities and legal information regarding the exemptions relied upon in making such sales and issuances and information regarding the exhibits attached to the S-1. In addition, a list of exhibits is included in Part II. Regulation S-X sets forth the form, content and requirements as to the financial statements that must be reviewed and audited by a PCAOB-licensed accounting firm. Item 601 of Regulation S-K lists required exhibits that must be filed with a Form S-1 (for example, original articles of incorporation and all amendments thereto, material contracts, auditor consent letter, legal opinion, etc.). These exhibits must be filed with the S-1 and become available for public review. All registration statements must be written in “plain English” as opposed to legalese or industry terminology. The plain English rule requires that the registration statement be written using the following English grammatical principles: active voice; short sentences; definite, concrete, everyday words; tabular presentations of financial information and other applicable data; bullet lists for complex and material data, whenever possible; avoidance of legal jargon; avoidance of highly technical business terms; and no multiple negatives. The SEC enforces the plain English rule and will not hesitate to ask that paragraphs or sections be rewritten. Once the Form S-1 is filed with the SEC, using the EDGAR and XBRL requirements, the SEC will let the Issuer know if the S-1 will be reviewed (they usually are). The SEC assigns a team, including both a legal and an accounting expert, to review the document and provide comments to the Issuer. The Issuer then prepares and files an amendment to the S-1 making the changes and addressing the comments requested by the SEC, and prepares and files a responsive letter which sets forth written direct answers to each of the comments. The comment process can, at times, be arduous and repetitive; however, the Issuer should realize that it is all just part of the process. When the comments are addressed to the satisfaction of the SEC, the Issuer can request and the SEC will issue an order allowing the registration statement to go effective. Once the S-1 goes effective, the issuing company can proceed with the sale process. A sale is completed much the same way as in a private offering. That is, an investor executes a subscription agreement and pays for the securities, which are then issued to the investor by the transfer agent. If the registration statement, at the time it becomes effective, contains an untrue statement or omits a statement of a material fact necessary to make other statements non-misleading, Section 11 of the Securities Exchange Act of 1933 imposes liability on the issuer and its management as well as other third parties. The Securities Act holds individuals who help prepare a registration statement on behalf of an issuer responsible for any misrepresentations and omissions in the registration statement. Section 11(a) of the Securities Act, 15 U.S.C. § 77k(a), makes several categories of persons and entities responsible for material misstatements or omissions in a registration statement. 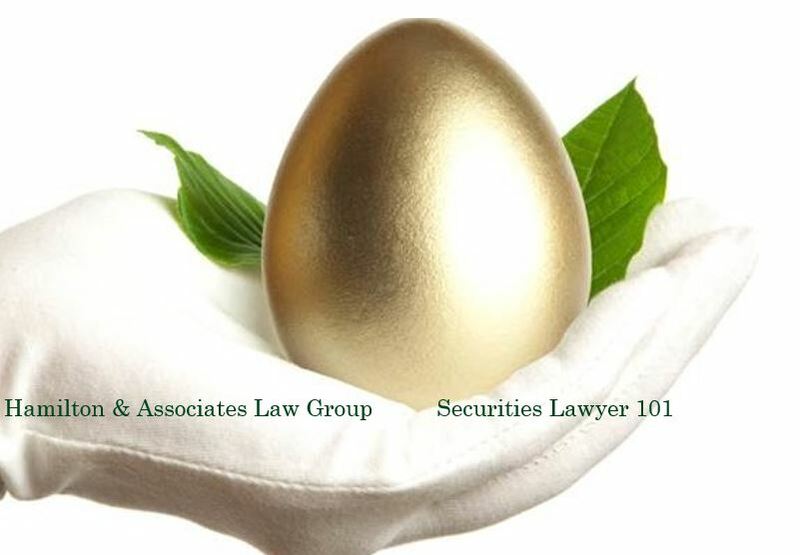 Moreover, the issuer and its officers and directors, attorneys, accountants and underwriters are liable under Section 11(a) of the Securities Act.